Live Casino Games are an exciting addition to our extensive list of games. Providing you with a real live dealer, streamed directly to your computer in real time, this is the closest you will get to a bricks and mortar casino feel in the comfort of your own home. Using only the highest quality video technology and the most professional dealers, we combine the very best of what live casinos and online gaming can offer. With a host of special features including live chat interaction, in-game statistics and leaderboards, as well as exclusive game options, we strive to bring you an excellent all-round casino experience. New players can also take advantage of our current Welcome Bonus of up to £5000 – simply read and accept the terms and conditions when you make your initial deposit to claim your additional funds. Since this initial house opened, casino games have gone from strength to strength, offering a popular form of adult entertainment for a wide variety of people across the world. Spreading from Europe to the U.S. and eventually worldwide, bricks and mortar casinos became a staple part of the community, providing safe and fun gaming for card, dice, slots and poker enthusiasts. Modern technology opened doors for casino entertainment to spread, making it more accessible and reliable for players, with the highest levels of security and data protection in place. Online casino games have been around since the early 1990s, and Live Casino Games have been available through Playtech since as early as 2003. However, it wasn’t until technological advances developed enough to create the powerful computers and smartphones that we have today that Live Casino Games truly increased in popularity. Offering excellent graphics, interesting additions such as leaderboards and interactive chats with other players and the dealer – all of which is fully supported by state of the art technology - this is the perfect combination of online gaming and casino games. To meet your personal tastes and requirements, we offer a wide range of live casino games. These are designed to provide you with a fun gaming experience, excellent graphics and playing stability, as well as exciting bonus features. 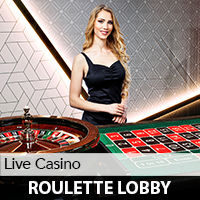 Live Roulette: A traditional favourite, using the European single zero (0) wheel, this action-packed live game provides plenty of excitement through its varied betting structure. Bet on a number, a colour, or even a section of the board, and spin the wheel to see whether you’ve hit a winner and made it onto the leader board. 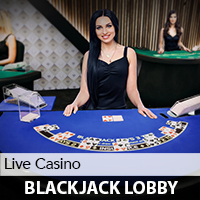 Live Blackjack: A staple card game in any casino, you play against the dealer and try to make the best possible hand. The live game follows standard Blackjack rules, but allows you to interact with the dealer and other players, with cards dealt by a real dealer rather than virtually. 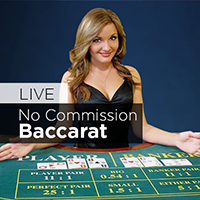 Live Baccarat: The only game where you get to bet on the player or the banker, this simple but exciting card game now comes with a real casino feel. Sit across from a live dealer via real time live streaming direct to your computer, and enjoy the added social element. 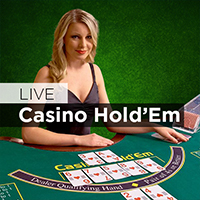 Live Casino Hold’em: Place your ante and your side bets, watch the live dealer set out the board cards, check your hand, and then decide whether to fold or bet. This simplified version of Hold’em is a fast-paced, straightforward game that is quick to learn but fun to play. 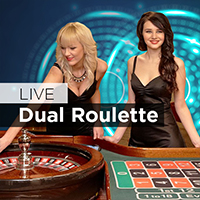 Live Dual Roulette: This exciting Roulette variant offers a faster game for players that want more action. Allowing you to play two Live Roulette tables at a time, in split-screen format, you can minimise your waiting time between spins. You can also slow the action down when it suits you by skipping a turn and not placing any bets. Exclusive Roulette: Played just like a regular Roulette game, but with a personalised touch, Exclusive Roulette allows you to create and join private games with friends and family. As well your own private ‘room’, you also benefit from enhanced statistical game analysis. 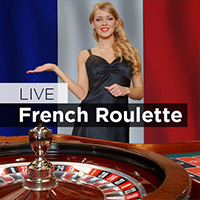 Live French Roulette: For something a little different, Live French Roulette gives you a traditional wheel-based game but with extra betting options and the ‘La Partage’ rule that enables a player to retain half of their stake on an odds/evens bet if the ball lands on the zero. 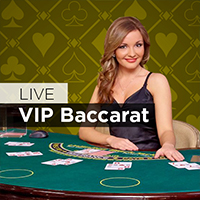 Mini Baccarat: Just like standard Baccarat but in a pint-sized serving, Mini Baccarat allows you to play one on one against the dealer in our live casino. You benefit from the highest quality video streaming and internet casino technology, as well as dealer interaction and personalised game statistics. 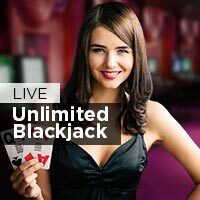 Live Unlimited Blackjack: Played with eight decks of cards at a five box table, standard rules apply but with the addition of multi-player betting. Multiple players can bet on the same hand, with complete autonomy over their betting choices, regardless of the other players’ actions making this a thrilling, action-packed game. To play our Live Casino games, simply click on the game of choice from our website or the casino lobby and you’ll be taken straight to the game. Live Dealer games are not available in Practice play, so you will need to use your Real Money account to log in and play. If you do not have a Real Money account, you can open one quickly and easily via our simple registration process. Alternatively, you can play a wide range of online casino games in Practice play; the only difference is that they do not use a live dealer and you use virtual chips. Mind your bankroll: This means you should always make sure that you are aware of your funds at all times, setting limits for when you play, and sticking to those limits. When you play for Real Money, it is vital that you keep a check on your spending and choose coin levels that suit your pocket. We offer a variety of low stakes and high stakes games, with each offering the same quality experience - but make sure you stay within your betting limits to enjoy them. Know your game: When selecting what games you wish to play, choose wisely. Make sure you know the rules inside out – each game has a rules section to help you – and make sure you understand how the casino software works. Again, this information is available in the help section of your game. Being informed is the best way to enjoy your casino experience as it reduces stress and the chance of making mistakes, making your playing time more enjoyable. Make use of bonuses: Casino bonuses are designed to enhance your overall casino experience and they come in a variety of types including Welcome Bonuses, Reload Bonuses, and Games Bonuses. Each offers a specific amount of bonus money in return for fulfilling a series of terms and conditions. Each of our bonuses has a clear format, with clear instructions on how to claim and how to redeem. Make sure you read the terms and conditions before you sign up. Before you start playing at our internet casino, make sure you understand the following terms. These are used as standard in online casino play, and understanding what each term means will help to improve your overall gaming experience. Bankroll: The money that you use to play your casino games. Bet: An alternative word for a wager. Betting Limits: These limits (both highest and lowest) can be found in each game. Be aware of these before you join the game so you can choose the correct level for your bankroll. Bonus: an amount of money awarded to your bankroll by the casino upon request in return for fulfilling the specified terms and conditions. Even Money: This refers to a payout of 1:1. Face Cards: The name given to the Jack, Queen and King in a deck of cards. House Rules: The casino-specific rules for both the dealer and the player in any game provided by that casino. Paytable: A chart showing the various payouts for specific winning combinations or winning bets. Practice Play: A casino account that allows you to play with virtual chips. Progressive Jackpot: this is a linked, accumulative jackpot that increases in size as players pay into the required side bet - available only in Real Money play. Real Money: This type of account is for players who want to play real money games with real cash prizes. Welcome Bonus: This type of bonus is specifically for new players and subject to terms and conditions which you must read and accept before you receive your bonus. Our current Welcome Bonus is up to £5000 for each player. To play Live Casino Games, you need to have a Real Money account. Opening an account is simple to do and it takes only moments to complete; follow these three steps to open your account and play Live Casino Games. Register: Start by clicking on Play for Real Money and then fill out the online form. The personal details that are required are for security and identification purposes only. Note: you are required to read and accept the terms and conditions before your account can be activated. Deposit: You can deposit into your Real Money account using a range of secure deposit methods including Debit Cards, Credit Cards and Neteller – the full list is available in the Cashier. If you would like to claim your Welcome Bonus, you can also accept this at this time. Play: Once your funds have cleared, you can access our full range of Real Money games via the casino lobby. Simply click on the game of choice and play. You can see the possible payouts on the payout table and if you hit a winning combination, any winnings due will be automatically added to your bankroll.